Welcome to all the techies and non-techies. This blog is an attempt to make you aware of every aspect related to an app developer , right from the point to who is an app developer to the point everything you want to know about how to hire mobile app developer or multiple mobile app developers for your app development project. You will find your answers to the question of how to hire app developer to build a high-quality mobile app. 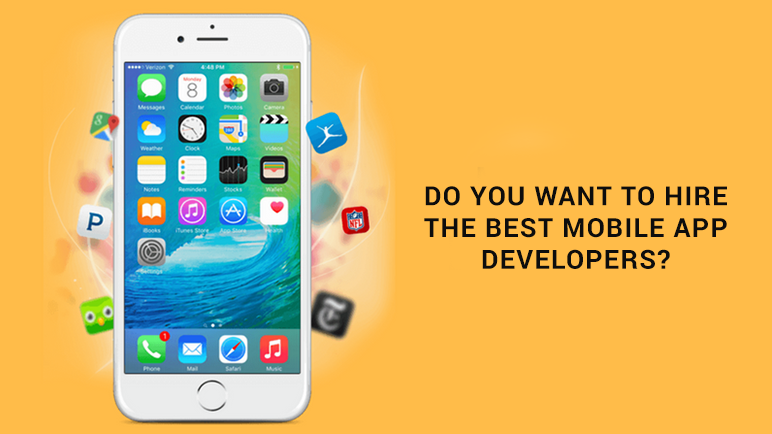 This blog is an attempt – To clear all your concerns and worries about selecting the best app developer for your mobile app project. Who is the best app developer? What are the Types of App Developers? What skills are needed for a mobile app developer? What Are the Places to Look for to Hire a Mobile App Developer? What is the role of the application developer? Mobile App Development is a simple yet tedious process of developing an app. It’s simple because it’s a systematic process. Hence everything goes on in a sequence. But at the same time, it’s a tedious process because it involves the micro-management of a lot of aspects. Are you looking for app developer or should I say the best app developer? Do you want to hire someone to make an app for you? If yes, then looking for mobile app developer and finding the right fit for your project is going to be an easy feat. ChromeInfotech provides exceptional quality mobility solutions since 2010 to clients globally and, is one of the emerging mobile app development companies. We follow a systematic and step by step approach to creating unique and exclusive mobile apps for out-of-the-box ideas. With ChromeInfotech, the process of looking for mobile app developer becomes a lot easy. If you are looking for app developer to create the best app for you, you have come to the right place – ChromeInfotech. And what brings these things to reality is our team of highly qualified and technically sounded team of mobile app developers. So, if you want to hire someone to make an app for you, we would be the right fit. We follow the below-mentioned approach to develop excellent apps. Come up with an exclusive and unique idea that you want to see in reality in the form of an app. Then go for determining its genuineness and originality. This is a very critical stage. After that, sketch your idea and give it a pen and paper shape. Then, draw your sketched thoughts to make it presentable to other stakeholders. Frame the User experience of your entire app. Back up your idea with hard-hitting and concrete market research. Create a business model that works best for your mobile app. Draw out the business plan to execute the business model. Find out the best technology partner that fits your needs and associate with them. Then, you need to Create an MVP for your app idea to test the initial audience response. Record and analyze the success rate of your MVP. Create wireframes to start with UI designing. Now Design the actual user interface of the app. This is the stage that can either make or break your app. Code the app with relevant technologies. Make use of best coding practices. Test the entire app for bugs and errors. Resolve it to maximize performance. Formulate the most effective marketing strategies for your app based business. Take care of the pre-app-launch and post-app-launch pitfalls. Figuring out the best time to launch your app in the market and launching it at that very exact time. Conduct campaigns to attract a broad set of audience to your mobile app. Constructing a feedback mechanism for the users. Delivering the best customer support. You might be thinking, why have I suddenly introduced this aspect? That’s because before knowing the aspects of hiring a mobile app developer for building you mobile app, it’s necessary to understand about the shift that has taken place in recent years and has made mobile app developers highly essential for us. A mobile app developer is a person who develops a mobile app. Coming up with an app idea is not as tricky as finding the best mobile app developers to build your project. ChromeInfotech has some of the best mobile app developers. So if you need mobile app developer to bring your business app idea to reality , reach out to us, and we will help you at the best of our levels. Development of the app architecture. App Architecture is like the skeletal framework of the app. Without the proper architecture, you cannot create an app. An app developer plays a crucial role in determining the architecture of an app. The best mobile app developers always create the most optimized app architecture first. If you need mobile app developer to create the best app architecture, reach out to us. To create the best app user experience through the best User Interface. UI creation is the stage that can make or break your app. Creating the navigational experience of the app. Creating the best App Navigational Experience. Building the testing framework which comprises of best use cases. To build out the most useful set of test cases. A developer uses them while performing alpha and beta testing of the app. The best mobile app developers are specialists in themselves and always build the best use cases. This can help to test the app in a much better way. Development of feedback and updation mechanism. Provide necessary updations to the app. All these contribute to the adequate growth of the app as well as the app developer. Why Mobile App Developers Are Integral to The App Development Process? He/she brings the app idea to reality. The best user experience of the app. Smooth navigational experience of the app. An app developer is not only responsible for comprehending the sophisticated aspects of the app but also implementing those aspects of an app such as assisting with mobile app market research from the technological perspective or creating a mobile app MVP. Before you hire app developer for your app development project. These are those app developers who build native mobile apps for Android or iOS. On the other side, these are those app developers who build hybrid apps for either Android or iOS. 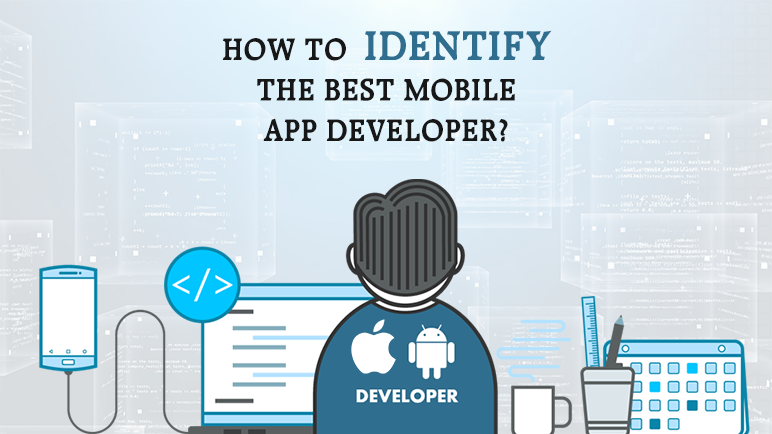 So if you want to hire a mobile application developer, understand the above two types first. These are the developers who build apps for the Android platform. They make use of technologies like Java, kotlin, SQLite, etc. These are the app developers who develop apps for the iOS platform. They make use of technologies like swift, Xcode, etc. Also, some developers develop apps for tablets and other smart devices also. Android developers for the tablet. And many more. These are some of the few categories. App Developer for smart devices such as intelligent wearables as it is gaining popularity. Take care of these points before you hire app developer that brings your idea to reality. First of all, identify the technical capabilities of the developers you want to hire. After that, you need to look into the past portfolio of the developer you want to hire. An impressive portfolio is the indication of a successful app developer. Before you hire a developer to make an app for your idea, look out for award-winning app developers. If any of your potential app developers has won any accolades or awards, you are good to go with that person. Also, you need to get feedback for that particular developer from his colleagues. Also, try to get input from the people he has worked with before. Other achievements, your potential developer has acquired. It indicates the technical awareness of the developer. Award-winning app developers assure you that yes they are capable of providing the best mobility solution to the problem at hand. Top-class mobile application developers can help you create the best app, and that’s for sure. How to hire a mobile app developer or How to hire the best mobile app developers? 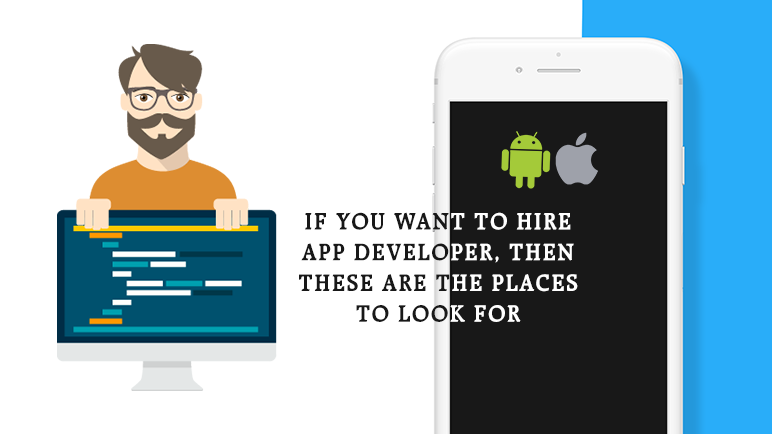 Before You Hire App Developer , Look Out for These Things Also. If you want to know how to hire mobile app developers, understand this first. To hire app developer to build you your next app is a great investment of time, money and effort. How your final app molds out? That developer(s) has sufficient knowledge of the technical elements you will be dealing with. They are well certified and have accomplished some projects under their belt. They have strong knowledge of testing and bug resolving. An app’s performance depends on proper testing of loopholes and removing them. Hence your about to be developer must have sound knowledge of bug removal. How good that person is at practically implementing stuff. How many projects he/she has accomplished so far at the professional front. What are their technical knowledge and technical proficiency? What are their ratings as a developer? This can be on any other freelancing or coding platforms that they had been a part of. Get feedback of that person(s) from all the companies he has worked with. How good they are at grasping things and providing the best mobility solution to the problem at hand. How many hackathons and coding challenges they have been a part of? Are they able to perform well in deadlines and time limitations? How quickly can they solve any issues if it’s out of their knowledge and capabilities? Also, they won’t allow you to turn back and start from scratch. So if you want to know how to hire mobile app developers to create the best app for your idea, do follow the points mentioned above. They will help you to find the top-class mobile application developers. Hope you are clear on the aspects of – how to hire a mobile app developer. Hire affordable mobile app developer. This is the amount of money that’s going to cost you. To find app developers you have to go through a tricky process. Many app developers cost related aspects come into picture when you go to hire app developers. There are many app developers hire related aspects also that are correlated to the cost of hiring an app developer. But if you can find an app developers company or other app developers companies that can help you to save money on your app development project, go for it. If your project is a small project that has less number of features to be implemented then, you can find many app developers for hire and can save a significant amount of money. If your project has quite a number of features, then it’s going to cost you a bit more. Then hiring a developer will cost you even more, if he wants to work on a daily or hourly basis with you. Similarly, a project with more than 70 features will cost you anything up to above $40k. For that, always find app developers that can help you to create the best initial version of your app. The time frame required to complete your project. If your project is a short term project, then you might hire the developer on an hourly basis. If it has a little more features, then you might go for hiring the developer daily. But if your project has too many features to be implemented, then you should hire a developer either monthly or on project wise basis. Either way, it’s going to cost you for hiring a developer. But paying a developer on an hourly or monthly basis is a great option for short term projects. They will cost you a lot of money if the project stretches out to a longer time duration. Is your developer team a one-man army or consists of many developers? If you are going to find app developers for hire and end up hiring a single developer for your project, it will cost you less. But here the number of features in your app comes into play. So, the developer has a choice to quote a high price if the number of features is less. Anyway, it will be significantly less in terms of hiring a single developer for your project. But hiring a team is going to cost you more. Even though you have a chance of making cost adjustments due to the availability of a bigger team, but still hiring a team of multiple developers will cost you more than hiring a single developer. Are you hiring a freelance app developer? If you are hiring a freelance app developer, the cost will depend on the experience of the developer. More experienced freelance app developer will charge you more. While a less experienced freelance app developer will charge you less money. Anyways the cost of hiring a mobile app developer will vary from Region to region and also depending on the person’s experience when it comes to freelancing. Or are you going with a recognized app development company? A recognized app development company has quality app developers. But hiring an app developer from a company will cost you more than hiring a freelance app developer. A tier one app development company will charge a significantly higher amount of money. A tier two app development company will charge comparatively lower. Further, a low tier company will charge quite a small amount of money. And a tier three company may charge up to $10k. Hope you have got the comparative idea of how much it will cost you to hire a developer to build your app if you go for a recognized app development company. This is beneficial for anyone wanting to know how to become a mobile app developer as well as someone who wants to hire app developer for their project. 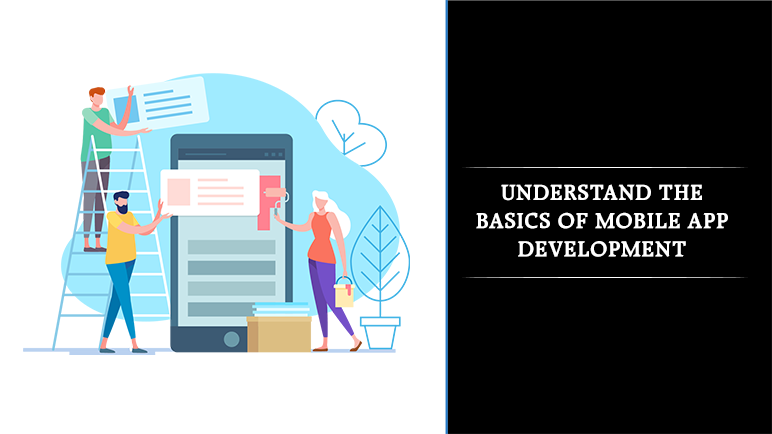 Someone who is a complete beginner and doesn’t know anything about coding in mobile app development and want to know how to become a developer, the below guide is for you. Treehouse, etc. to learn full courses. And finally, take an advanced level course. For each of the above categories, you will find courses on the above-mentioned platforms. Some courses are free of cost while some other requires a paid subscription. For each of the courses, there will be an evaluation test, and you will get a certificate of completion for each of the courses you complete. Excellent backend coding knowledge and skill which can be developed over time. Extra-ordinary testing and debugging skills. Anybody who wants to become an app developer must have basic to advanced knowledge about all these aspects and parameters. Someone having basic knowledge about mobile app development. For which platform he/she want to code. After deciding that, the developer has to focus on sharpening the data structure skills. Also, that person has to improve his/her skills at the technology level. Improvise in java and SQLite if you want to master android app development. If you want to develop apps through iPhone app development or iOS in general, improve your skills in swift and Xcode. Take intermediate to advanced level certification courses. This can be in various new technologies related to mobile app development. Also, take part in coding challenges and hackathons. 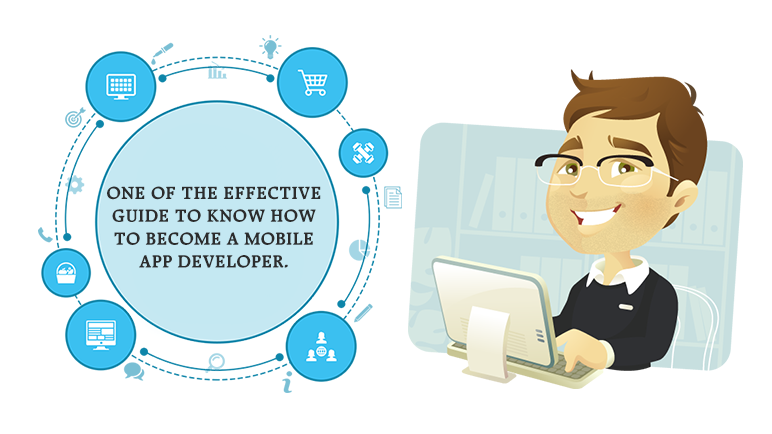 An intermediate knowledgeable person at mobile app development. This is the person who has intermediate level knowledge about mobile app development. For this guy, the crucial thing will be to strengthen data structure and testing skills. He needs to make his algorithmic aspects much stronger. He/she can take the help of the same online platforms mentioned above. Somebody who is an expert at mobile app development. The skill of Maximizing the app’s performance at the architectural level. Creating an advanced level architecture of the app. What a person can do is login into these sites and create an account. He/she can then search for these courses and register to them. These courses are advanced level courses. So they might not be free and require some kind of subscription fees. For all the courses that you will take on these sites, you will be given a certificate of accomplishment that will be valid for a certain period. HIRE APP DEVELOPER FOR YOUR APP DEVELOPMENT PROJECT. Whether you want to hire multiple app developers or a single mobile app developer from a app development company, it’s always better to understand the difference between mobile app programmers and developers. Developer deals with the complete client requirements and how to better integrate it into the final mobile app. He is also responsible for the research to be done for successfully developing that app. The developer is concerned with the designs of the app also. His responsibility includes being in charge of entire UI and UX aspects. He decides which languages and technologies will be used for developing the app. He is responsible for the entire testing of the app also. A developer is concerned about maintaining the entire documentation of the app. He is responsible for the maintenance of the entire mobile app. They are expert in a specific programming language who implement the product design and their architecture. Mobile app programmers are not concerned about the various aspects of the app development process. They are not concerned about the research and UI and UX aspects. They just have to code the app to make it a fully functional product. He is not responsible for the testing of the entire product. A programmer codes the app using the algorithmic instruction given to him. So it’s better to hire a mobile app developer from a reputed company who can best assist you in creating an outstanding mobile app. Also if you want to hire multiple app developers, follow the same principle. One who is a freelance mobile app developer. While the other one is from a recognized app development company. Both of them fits in relevant situations. Both of them have pros and cons of hiring them for an app development project. It depends on 3 critical parameters which decide whether you need a freelance app developer or a developer from recognized app development company. Each of them has its advantages as well as disadvantages. Let’s have a look at each of them one by one. You can work with him on an hourly basis if the project needs less number of features to be implemented. Working with a freelancer is flexible. You don’t have to ask for continuous feedback all the time. Just check in on that person time to time as per your need and convenience. There is no limitation of geography. You can be assured that you can hire one of the best developers from around the world. You can get a variety of skillset in the developer pool from which you can hire your final app developer. Everything goes on in a procedural and systematic way. 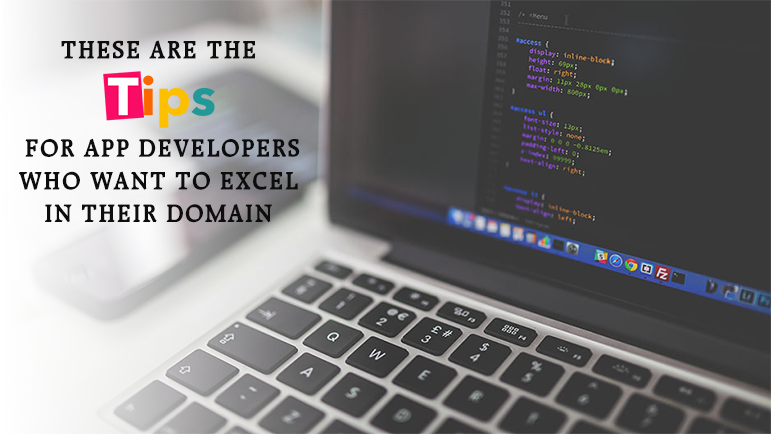 You can rest assured that the developer will be the one who has the high skillset and recognized by the company. You can negotiate on the price depending upon what kind of services and consultation the developer offers you. Also when you hire a developer from a company, you get a lot of side technical consultation. So in case, your developer gets stuck with implementing a feature, you can be assured that your developer will get help from his fellow developers. BUT THESE ARE THE DISADVANTAGES IF YOU HIRE APP DEVELOPER WHO IS A FREELANCER. You are not bound by any formal agreement. So there is always the fear that the developer might step out of the project anytime. There is always the disadvantage of distance as you cannot discuss aspects of the project quite quickly as you would have done through face to face meeting. Sometimes you might end up spending more money if you hire a freelancer app developer on a daily or hourly basis. This usually happens if the project stretches out of the usual time limit. If you have the thought in mind that – who are the best mobile app developers near me or who is the best mobile app developer near me? Then you have to understand the fact that it’s going to take a lot of effort to facilitate the searching process. Where to look If You Want to Hire Developer for Your Business Project? Freelance websites such as freelancer and Up work. There are a lot of freelancer websites where people have registered as a certified app developer. You can log in to those websites and search for app developers and choose from the list available depending upon your requirements. App development companies which can be found anywhere. These are well recognized, certified and accredited app development companies that have a large pool of highly qualified app developer which they have either hired from college campuses or obtained though offline hiring. Personal references from colleagues or friends. If you have a lot of private networks, you can come into contact with any of the developer who is either working for a company or is self-employed. You can also get a good deal out of there. Other app developers who are looking for a job. So to your question of – who are the best mobile app developers near me or who is the best mobile app developer near me? Well, to answer that you have to search a lot and find the best match for your project. Doing all the hard-hitting and concrete app market research. Then comes Framing the business model and business plan for your app. Creating all the important strategies such as marketing strategies, social media strategies, content strategies, other promotion strategies, etc. Creating the best UX and UI. Maximizing the performance of your app through various strategies be it at the strategical, technical or architectural front. Removing all the bugs and loopholes and testing the app with all the set and recommended guidelines. How to assist with the updation and maintenance of the app in the long run. Hence, you should hire an app developer only when you have built the initial foundation for your app to grow into a hit and valuable market product. Creating the user experience of the entire mobile app. Maximizing the performance of the app on the front of the technical, architectural and strategic front. Removing all the bugs and loopholes from the final app. Designing the navigational experience of the app. Creating the best feedback mechanism to gather user feedback and opinions to update and evolve the app. Maintain the app and provide all the necessary maintenance related assistance. This is what we recommend as a mobile app development company. Learn all the relevant technologies which you think might help you to grow as a mobile app developer. Lay more emphasis on learning data structures and algorithms and algorithm optimizations. Technologies and coding will come automatically. Make use of all the best coding practices while coding your app. Keep track of the bugs in your app. Remove them as early as possible. Maintain communication with all the concerned teams to stay on the same page. Never compromise on algorithm optimizations. Use version control software to keep track of your code. The mobile app developer can make use of necessary tools and software services that can ease out the app development process whether it’s for Wireframing, UI designing, coding or testing. Try to figure out new ways to improve the performance of the app at the architectural, structural, technical and strategic front. Always emphasize creating an MVP for the business idea you have curated and then go for creating the entire app. Try to attain the best level of comprehension of changing client requirements. Must note this fact that it’s the responsibility of a mobile app developer to use relevant software and tools that can ease out the tedious app development process. Always validate your mobile app idea with relevant facts and figures. Immediately determine its genuineness and originality. Always do concrete and hard-hitting market research that can increase the chances of your app’s success in the market by at least 60% to 70%. Sketch your mobile app idea and create into relevant wireframes to get an initial idea of user experience and app navigational flow. Always create an MVP for your app to end up creating a successful end product. Keep your app simple and appealing. Never over-complicate stuff. Create a simple navigational experience of your mobile app. Do not over-complicate the backend of your app. Always keep it simple and optimized. We at ChromeInfotech have one of the best developer team comprising of both Android app developers and iOS app developers. Not only our developer team is well accredited, but also well certified. Our developer team is known to bring some of the best, unique and exclusive app ideas to reality using some of the best industry coding practices. If you have a unique and exclusive mobile app idea which you want to see as an Android or iOS app, reach out to us, and we will help you bring your concept to reality. If you want a mobile app developer for hire to create your hit mobile app, reach out to us. Get ON-BOARD with our developer team to help and assist you in creating the next market hit app for you.